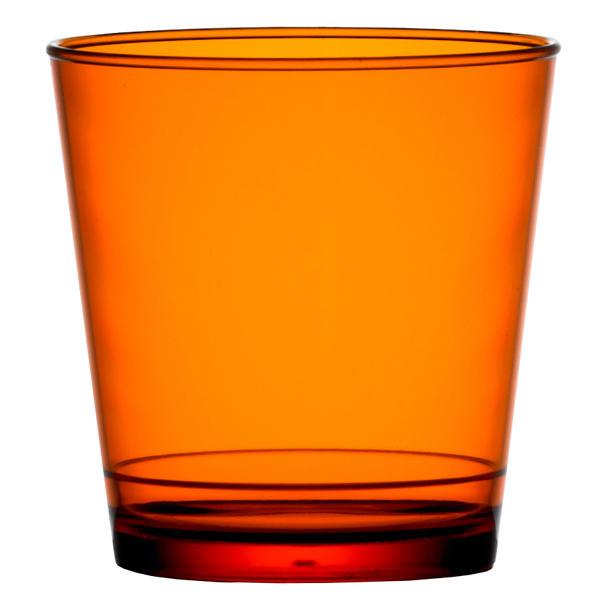 These vibrant orange Rocks Tumblers have been made from polycarbonate and can be used to serve a whole host of cold beverages. Their polycarbonate construction is virtually unbreakable making them suitable for both indoor and outdoor use. With an unrivalled quality these glasses are the perfect choice for events, weddings and even parties. Incredibly durable as well as versatile these tumblers also feature a space saving stackable design for commercial settings short on space for storing glassware.